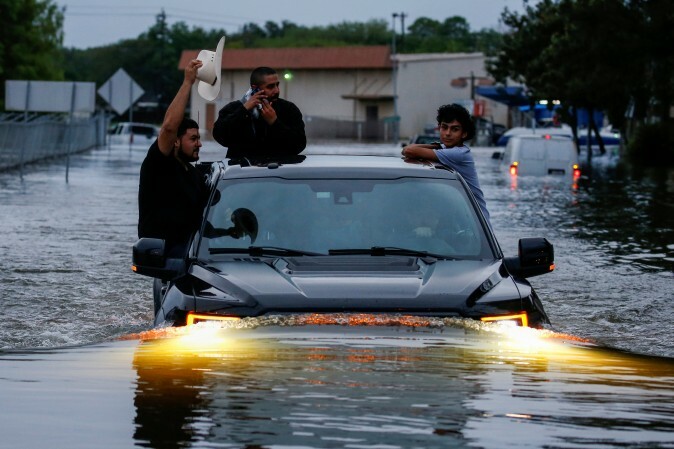 The U.S. Coast Guard has implored Houston residents to call them instead of posting on social media if they are in need of urgent assistance amid the flooding. 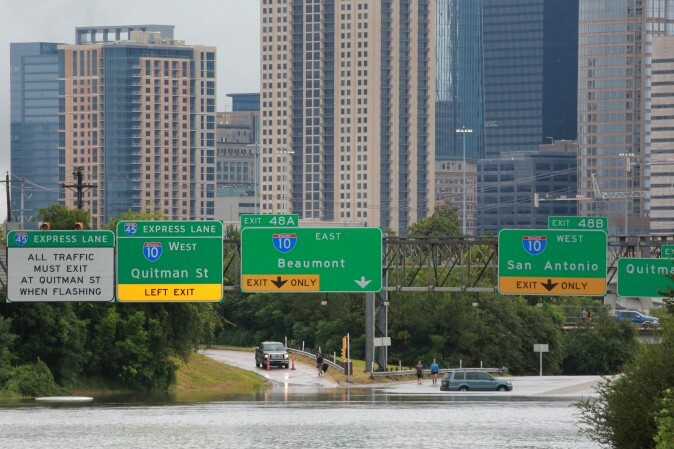 Many local residents are still tweeting for help following Hurricane Harvey. 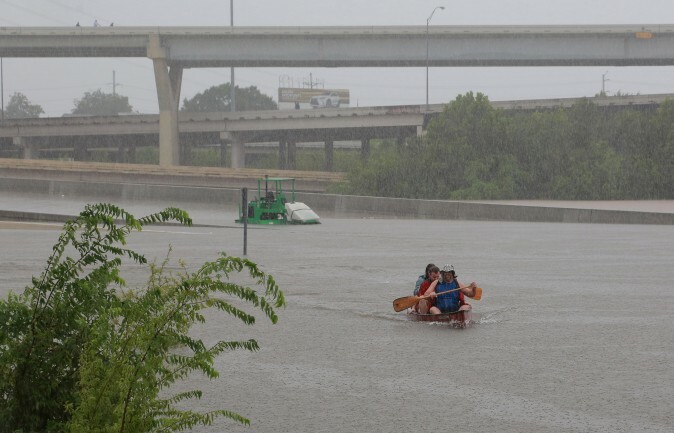 The Coast Guard said that people should call the Houston Command Center instead. 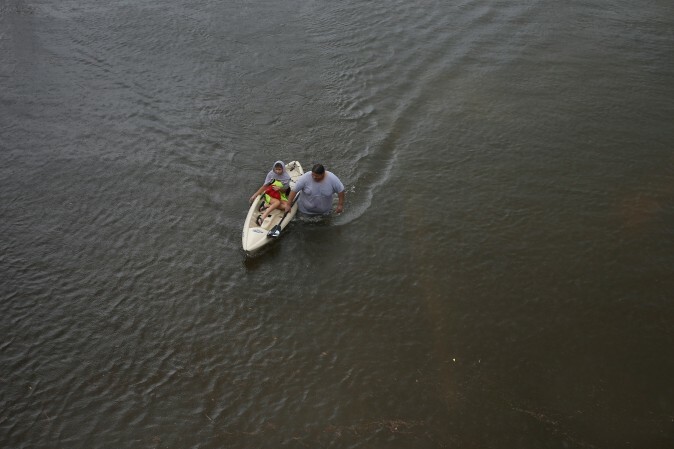 On Friday and Saturday, the Coast Guard rescued some 32 people from several boats in Texas amid flooding, The New York Times reported. 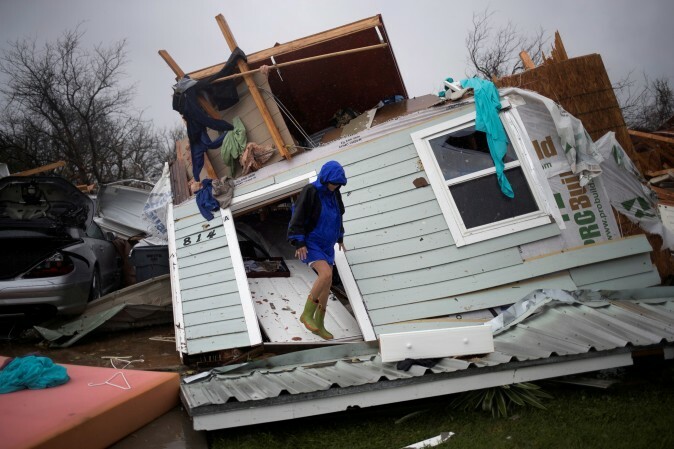 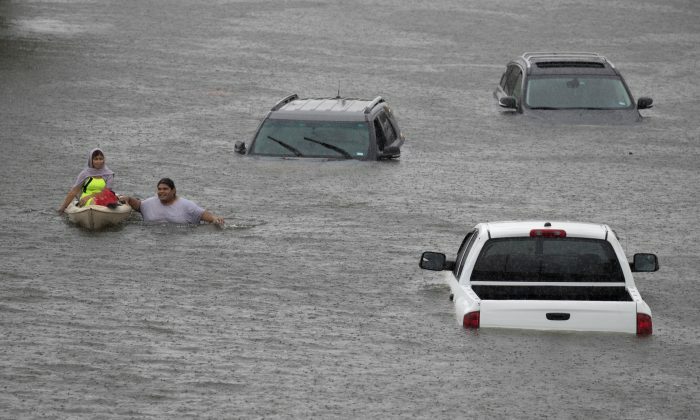 Jesus Rodriguez rescues Gloria Garcia in Pearland, on the outskirts of Houston.